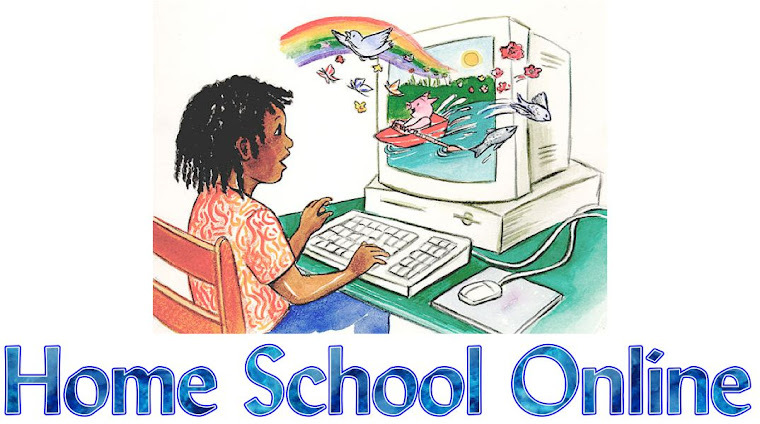 Home School Online: Banned from Bees? As a national contest, the Scripps spelling bee is required by law to admit homeschooled students. Some local competitions, not subject to such regulation, still prohibit participation by homeschoolers. The exclusion is purportedly an effort to be fair, but it's based on incorrect assumptions. One is that a homeschooled spelling champ's curriculum consists of "all spelling, all the time". In fact, most spelling champs, homeschooled or otherwise, are accomplished in many areas. The Scripps' contest rules actually contain language stipulating that students must not have neglected their normal school activity in order to prepare for the contest. Michael Hackett, the 2005 national winner, says he studied two hours a day. This compares favorably with the amount of time a public schooled football player spends in practice, or any number of students spend pursuing what interests them personally. It leaves plenty of time for additional academics. Since only about two percent of American students are taught at home, while twelve percent of spelling bee winners are homeschooled, we can understand the belief that homeschooling somehow stacks the deck in the student's favor. On the contrary, factors contributing to homeschoolers' success in these contests are available to all students, regardless of how they are being educated. The champions have learned to study independently. The champions have families who support their endeavors and help wherever they can. The champions don't allow themselves to be distracted by negative social influences. The champions are accustomed to setting goals and following through with the small steps necessary to accomplish them. The champions maintain enthusiasm about mundane things like spelling bees, in the face of myriad more exciting possibilities. The criticism is, of course, initiated by homeschool critics seeking to promote (or defend) public education. A friend recently joked, "Do you know about the government's plan to improve the performance of public schooled kids in spelling bees? They're going to ban homeschooled students!" Hiding the achievements of homeschoolers will do nothing to improve the public school system. By now, most people have heard the news articles anyway: Homeschoolers shine during the National Geography Bee. Homeschool high school students are National Merit Scholarship semifinalists. They've won National Educational Debate Association trophies and the International Diplomacy essay contest. Homeschooled students aren't "cheating". The national competition recognizes that refusing to include students who are educated at home because of perceived advantages is a form of discrimination. It's time for all of the local contests to follow their example. Small, local competitions are the most likely to limit participation to public or private school students. Public schools just don't like being owned in any academic contest by a home schooled student! With all the money the govt spends on supposely teaching public school students every year, I can understand why it makes them look extremely bad when home school students only comprise 2% of the educated students in America but win 12% of the spelling bees, really shows the public education system up for what it has become. That is they have become a bunch of overpaid incompetent whinners!